Replacing missing teeth used to mean restoring just those parts of teeth visible when patients smile, but as part of our ongoing dedication to offering dental care that takes whole health into consideration, our team offers dental implant supported tooth replacement, which restores the entire lost tooth roots and all. Drs. Campbell and Schmidt work with Dr. Michelle Zmick, a skilled local periodontist, to place dental implant posts safely and effectively from the comfort of our Lake Forest, IL office. Dr. Zmick has years of training and experience surgically placing dental implant posts that replace the lost root structures of missing teeth, and our team attaches the same natural looking, long-lasting, and high quality restorations to these implant posts. Contact our team to find out more or schedule a dental implant consultation today. Dr. Zmick places high quality, titanium implant posts for our patients, and while the number and position of these implants may vary, the procedure itself remains fairly straightforward. A small incision is made in the gum line, and the implant post is inserted and positioned. 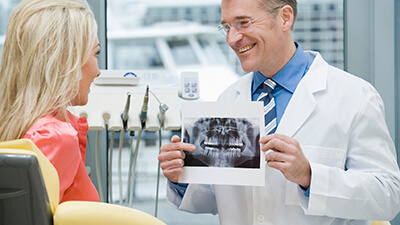 A protective covering is attached to the surgical site to allow for optimal healing, and patients wait between three and six months for the implant post to fuse with the gum tissue and jawbone the way that natural tooth roots do. For those patients missing between one and four consecutive teeth, we will likely recommend restoration with a dental implant supported crown or fixed bridge. 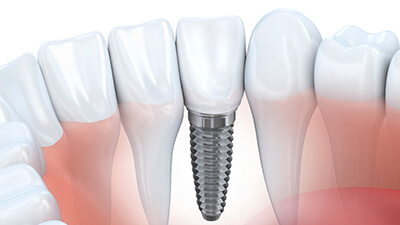 A dental crown can be affixed to a single implant post to replace an individual lost tooth, and two crowns connected can be supported by a single dental implant post. To replace three to four consecutive teeth, we place a dental implant at either end of the restoration to provide adequate support. Partial and full dentures offer restoration following extensive tooth loss, and the traditional varieties have provided predictable results for decades. However, these prosthetics may not offer patients the ideal comfort and stability they seek. 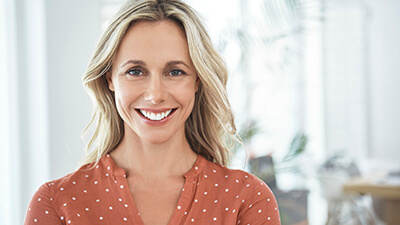 Using a strategically placed number of implant posts, we are able to offer extensive dental restoration without adversely effecting remaining healthy teeth. When attached to dental implant posts, partials and dentures provide improved stability and a more natural looking and feeling tooth replacement solution. All-on-4 and Teeth-in-a-Day dental implant supported dentures allow our team to restore a full arch of teeth in just a day. 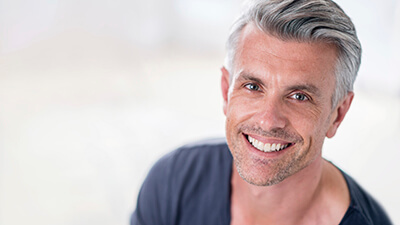 By using a minimal number of dental implants ideally placed and positioned to support a full denture, we’re able to restore significant tooth loss without extensive surgical procedures like bone or gum grafting. Additionally, these less invasive procedures typically make it possible for our team to attach a temporary denture on the same day we place the implant posts.